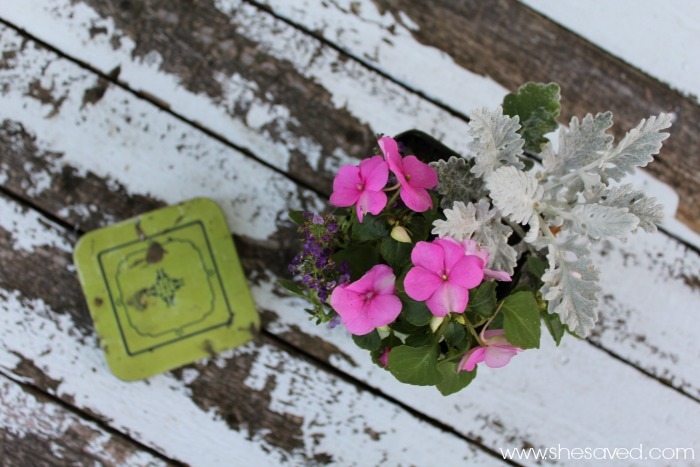 I love to repurpose items and this darling DIY Tin Planter is such a cute way to make an old item useful and decorative at the same time! One of my favorite things to do is to hunt for unique planters at garage sales and thrift shops. I recently shared with you my Unique Garden Planter Ideas post, so make sure to check that out if you are looking for other fun planter ideas! Choose a container that is at least 3 inches deep so you have ample space for your plantings. You also want to choose a hardy annual such as impatiens, marigolds, or dusty miller to fill your planter, as these will settle into the tin nicely. Succulents might also work well for these types of planters. 1. Begin by preparing the planter for planting. To do this you will want to take the nail and hammer and pound holes into the bottom of the tin. This will help provide proper drainage and allow water to leave the container. 2. Create a layer of pebbles at the bottom of the tin. This will also help with the draining and create an excellent environment for the plants to grow in. 3. 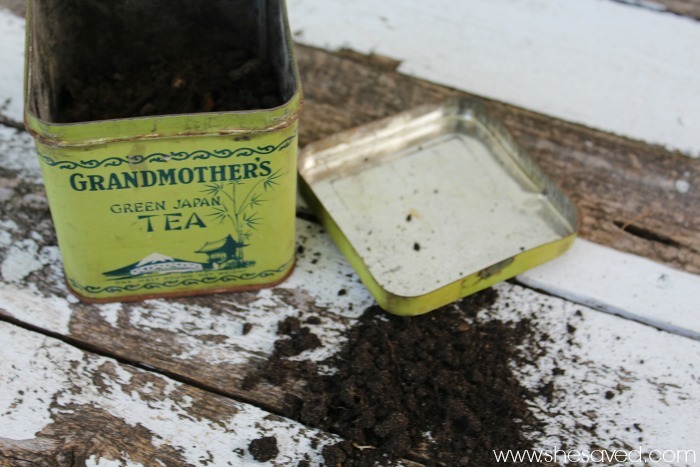 Fill the container with potting soil. Use a nutrient rich soil for best results. 4. Begin adding your plants. Be careful to not overcrowd the plants and instead be sure there is an inch or two between each seedling. 5. 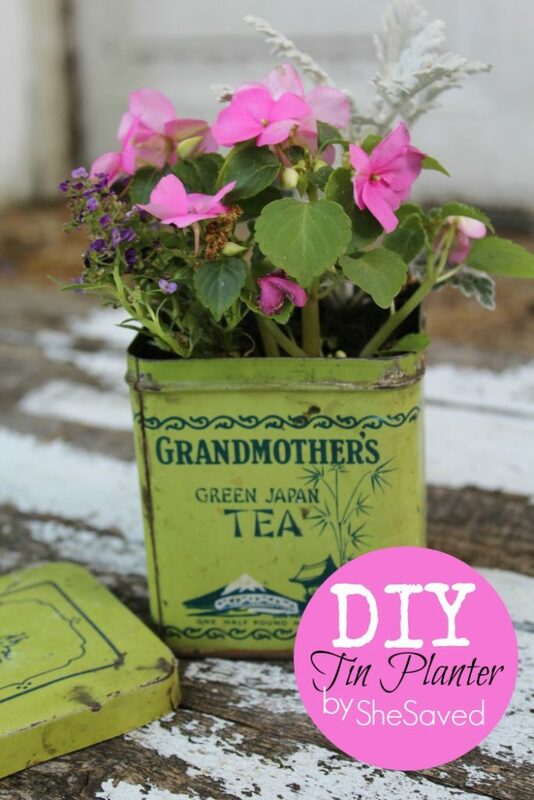 Place your tin planter in a sunny space where it will get a good 6 hours of sun per day, and be sure to check it daily to see if it needs water. Just press the dirt to check for moisture, and water as needed. If you are worried about the elements eroding the tin or causing damage, just spray it with a coat of clear sealant to keep moisture and sun from damaging it further.